Try it out for free. See if Svaroopa® yoga works for you. Your class begins with a reclining pose, your knees propped up on soft blankets and soothing music playing. The 10-minute guided relaxation is followed by some slow yoga breathing, and then you're up and moving. Each pose builds on the one before, in a choreographed process that decompresses your spine from tail to top. Your teacher adjusts your blocks and props to customize the pose to your body's needs, while helping you find a new capacity to move and breathe. At the end of class, you return to your reclining pose for another guided relaxation, followed by a contemplation from yoga's ancient sages. You will float out... guaranteed! Class size is limited to 10, so you must register! We cannot guarantee we will have room for you without a reservation, sorry. 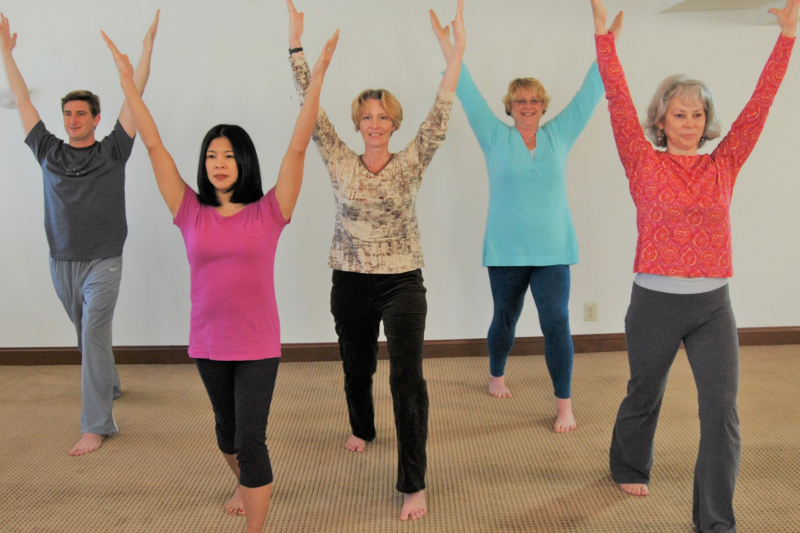 For more info: www.downingtownyoga.org or 484.678.2078.